The bacterium Helicobacter pylori (“H. pylori”) causes conditions such as gastritis and stomach ulcers. 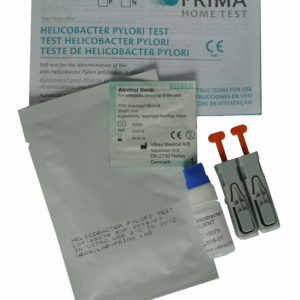 The H. Pylori test specifically detects the antigens in faeces to ascertain the presence of the bacterium. What is Helicobacter pylori and stomach ulcers? According to estimates, today around half of the world’s population are infected with Helicobacter pylori, although not every infection produces symptoms. The bacterium Helicobacter pylori (“H. pylori”) causes conditions such as gastritis and stomach ulcers. There is yet no immunisation available against the infection, which occurs in both children and adults. However, use of the appropriate medication (such as antibiotics) can eliminate the bacterium. The stomach lining and duodenum are both protected against stomach acid by a protective coating. If this protective function is disturbed in any way, the mucous membrane of the stomach can be damaged, leading to ulcers. This typically happens due to H. pylori infection, which also increases the risk of developing stomach cancer. In most cases, H. pylori infection can be treated very successfully using a combination of antibiotics and antacids. Once the bacteria have been eliminated, the gastritis is generally cured. How does the H. pylori test work? Pylori is a small, spiral-shaped bacterium that lives in the surface of the stomach and duodenum. 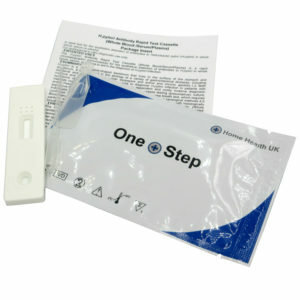 The H. Pylori Test specifically detects the antigens in faeces to ascertain the presence of the bacterium. A very common approach for testing for a Pylori infection is a Serological test (blood test) that look for the antibodies in your blood of an infected patient. The main limitation of a serology test is the inability to distinguish current and past infections. Antibody may be present in the patient’s serum long after eradication of the organisms. 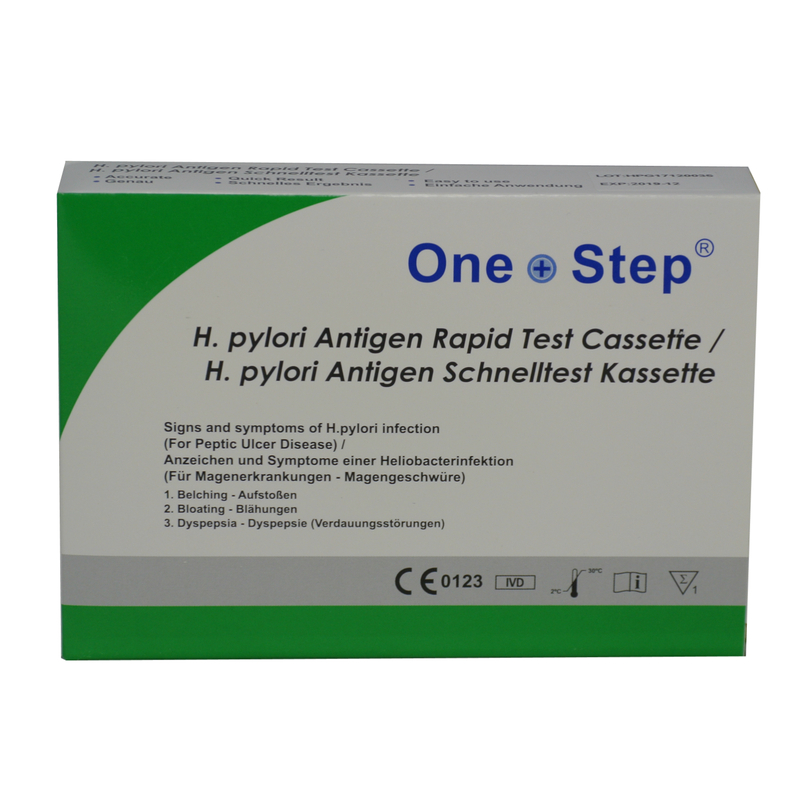 H. pylori Stool Antigen testing is gaining popularity for diagnosis of H. pylori infection and for monitoring the efficacy of the treatment of H. pylori infection. Studies into H. pylori Stool Antigen have found that more than 90% of patients with duodenal ulcer and 80% of patients with gastric ulcer are infected with H.pylori. The test can be performed any time of the day. The test can be performed in case of repeated stomach and intestinal troubles (GERD, gastritis etc.). 1. Wash your hands with soap and rinse with clear water. The stool specimen should be collected in the stool collection paper, avoiding contamination of the specimen by taking precautions that the specimen or the side of the paper containing specimen does not come in contact with any contaminating objects including toilet cleaners. Please read the instructions on the collection paper for how to collect your specimen. Alternatively, you can use a clean specimen container, but again must make sure that neither the specimen nor the cup come into contact with any contaminating objects. 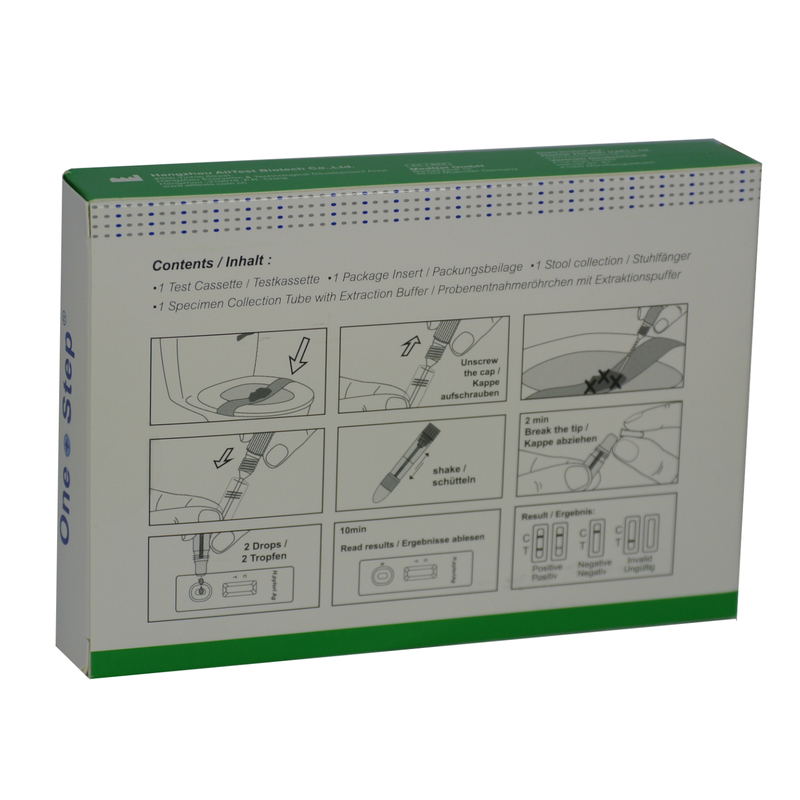 Unscrew the blue cap of the specimen collection tube with extraction buffer, then randomly stab the specimen collection applicator into the faecal specimen in at least 3 different sites. Do not scoop the faecal specimen. 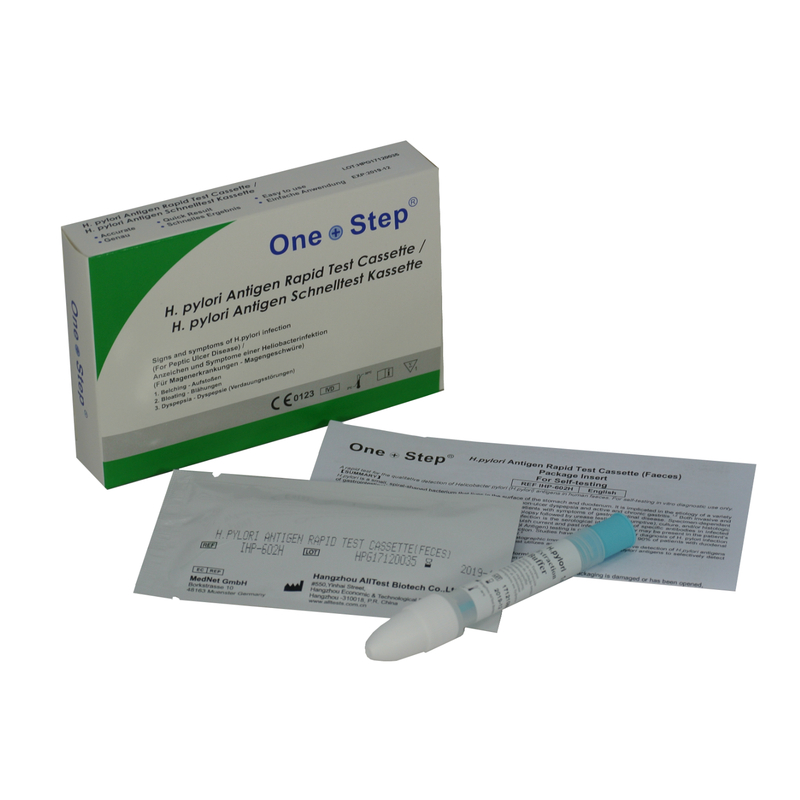 Re-fasten the blue cap onto the specimen collection tube, then shake the specimen collection tube vigorously to mix the specimen and the extraction buffer. 4. Bring the pouch to room temperature before opening it. Remove the test cassette from the foil pouch and use it as soon as possible. Best results will be obtained if the test is performed immediately after opening the foil pouch. 5. Open the white cap of the specimen collection tube with extraction buffer and then break off the tip. Invert the specimen collection tube and transfer 2 full drops of the extracted specimen to the specimen well (S) of the test cassette, then start the timer. Avoid trapping air bubbles in the specimen well (S). 6. Read results at 10 minutes. Results obtained after this time may be inaccurate.